Heartbreaking, charming and endlessly hilarious, I closed the covers of We Are All Completely Beside Ourselves with a faint smile flickering across my face. If you ever want a reminder of what a good book feels like, pick up Karen Joy Fowler's latest release: a stunning tale of love and loss, depicting the intricacies of family life. MY THOUGHTS: From Rosemary's engaging narrative to the beloved Fern, from the enigmatic Lowell to the wild card Harlem, We Are All Completely Beside Ourselves has an unforgettable cast. Yet, what makes them unforgettable is not themselves, but how they interact with one another. Fowler delves deep into the theme of sibling loyalty, presenting the complexities of Rosemary, Fern and Lowell's relationships. But she also sets out to present a friendship like no other; believe me when I say the relationship between Harlem and Rosemary is a highlight indeed. Told through scattered memories, We Are Completely Beside Ourselves is an enthralling read. Rosemary, our narrator, is just charming and – as you realise at the end – nobody else could have told this tale but her. We Are All Completely Beside Ourselves is a profound novel, accomplished in all aspects, complete with raw and interesting characters. Simply life-affirming. 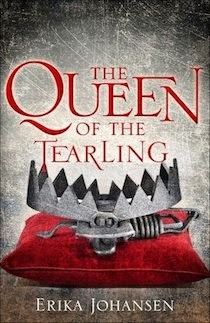 The Queen of the Tearling has everything needed for a good fantasy novel – a brilliant protagonist, a throne to fight over, an intriguing plot line – and, for the most part, it is a good fantasy novel. My only problem? It was too rough around the edges. And so begins her journey back to her kingdom's heart, to claim the throne, earn the loyalty of her people, overturn her mother's legacy and redeem the Tearling from the forces of corruption and dark magic that are threatening to destroy it. But Kelsea's story is not just about her learning the true nature of her inheritance – it's about a heroine who must learn to acknowledge and live with the realities of coming of age in all its insecurities and attractions, alongside the ethical dilemmas of ruling justly and fairly while simply trying to stay alive. MY THOUGHTS: Erika Johansen's debut is intriguing indeed – complete with assassins, murder plots and a young queen claiming her throne. With no romance (so refreshing! ), Johansen focusses heavily on the characters and plot: perfect for anyone who wants an old-fashioned 'good vs. evil' fantasy tale. And, whilst there was nothing bad about The Queen of the Tearling, nothing bad at all, I found myself saying too many elements were just 'satisfying' – nothing more, nothing less. Whilst the protagonist was wonderful and the plot line solid, I can't say the writing style or pacing 'wowed'. But, to end on a positive, the best part of Erika Johansen's debut was the ending. Compelling, thought-provoking and empowering to no end. I'll definitely be picking up the next book in the series. MY FAVOURITE QUOTATION: "As the lovely water laps her ears and throat, moves inside her shorts, slips across her fragile ribs, Pearl grins, thinking she hears laughter, and raises her arms to the just-glimpsed sky. These are some of the reasons she comes to the woods." In short, The Library of Unrequited Love is about this: a woman who has a lot to say but is never given the chance. Yet, within the pages of Divry's debut, she's given that chance, her innermost thoughts flowing out in a skirmish of wit and oddity. The Library of Unrequited Love is a book for all readers willing to set aside half an hour to listen to the ramblings of one very, very outspoken librarian. I definitely recommend. She starts to talk to him, a one-way conversation that soon gathers pace as an outpouring of frustrations, observations and anguishes. Two things shine through: her shy, unrequited passion for a quiet researcher named Martin, and an ardent and absolute love of books. MY THOUGHTS: Perhaps the best thing about The Library of Unrequited Love is that it's different to anything I've read before in so many ways. Told through second person, Divry's experimental style leads to an engaging, thought-provoking and delightful read. Stylistically it's perfect. The librarian herself is a fully fleshed out character with odd quirks and thoughts. She's a truly interesting person. 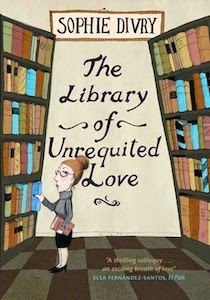 My only problem with The Library of Unrequited Love? At only 95 pages, when I reached the end, I needed more. The end feeling is comparable to eating a small but delicious meal, knowing that later on you'll still be hungry. But, overall, The Library of Unrequited Love is a short and sweet debut worth all the reads it can get. I want to read all these books! 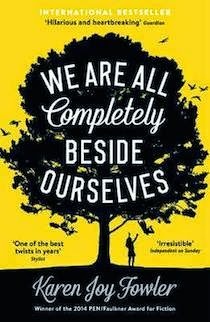 In particular, your review of We Are All Completely Beside Ourselves makes me want to read it. These are three books that I've had my eye on for God knows how long. The Queen of the Tearling sounds amazing, - not to be influenced at all by the fact that Emma Watson loved it on anything. Having never read anything of these they look what one might say as out of the box. All of the books look as if they are plots that were really well thought out. Beautiful reviews as always Ruby! They're definitely all unique. :) Thank you! REallly wanting to read We Are All Completely Beside Ourselves. It has a brilliant title. I love a good title (I just wrote a post about titles, actually! ), and long titles are just perfect.